SANTA BARBARA, CA / ACCESSWIRE / November 30, 2016 / The coastal California town north of Los Angeles, Santa Barbara is full of beautiful buildings with a rich history. From Spanish inspired homes to intricately adorned archways and structures, the city was developed with the intention of an appealing design that would limit uncontrolled growth. As a passionate real estate professional, Kenny Slaught, provides insight into how the architectural integrity was upheld throughout the years. Maintaining the natural charm of this region was intentional and as early as 1925, city planners enacted development controls to prevent demotion of Spanish Colonial architecture. The community was the first in the United States to proactively think about the importance of historic buildings. Controls were put in place and guidelines were designed to preserve unique structures and park spaces. In 1960 Santa Barbara established legal protection for historic landmarks. Almost 100 years ago, famous architect George Washington Smith, inspired the California movement called the Spanish Colonial revival. He was a man who dropped out of Harvard to eventually work as a bond trader. Once a successful businessman, he moved to the region anticipating a relaxing lifestyle and planning to work on his painting abilities. What came as a surprise was that everyone loved the house he had designed, prompting him to continue creating architectural gems for other Californians. Using authentic materials from Spain and combining new and old world inspiration, George Smith’s works are sought out and enjoyed for their simplistic beauty and complex design. Known as a founding father for Santa Barbara, other architects have mirrored his style for many generations. Kenny Slaught admires the keen eye and attention to specific qualities required to design a structure of such artistic excellence. Some of the most famous Santa Barbara architecture features include, the centuries old Hotel Virginia, El Pueblo Viejo district in historic downtown and the two pink towers of the Old Mission, which hosts retreats and festivals. The brightly colored tiles of the County Courthouse houses brilliant displays of murals and other striking attributes. Nearby is the clock tower and observation deck, providing a panoramic view of the entire city. The Lobero theatre not only houses the regions premier performing arts events but also dates back to 1873 and was rebuilt in the 1920’s by George Washington Smith. These are a few examples of the rich history in Santa Barbara, where, because of the founder’s advanced planning, many antique, architecturally amazing buildings line the streets of the old districts. Founder of Investec Real Estate Companies, Kenny Slaught has been in the industry for more than four decades. 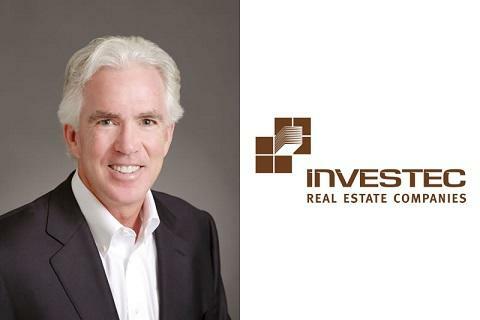 A dedicated investment strategist, he manages more than 3 million square feet of property throughout California. With total transactions valued above $1.2 billion, Investec has grown to become one of Santa Barbara’s leading real estate firms. An avid philanthropist, Mr. Slaught is involved with many non-profit and community organizations, including Santa Barbara Bowl Foundation and the Music Academy of the West. Contributing to the benefit of youth in the area, he dedicates considerable time to these and other worthy causes.